Selenite is a form of gypsum occurring as transparent crystals, sometimes in thin plates. 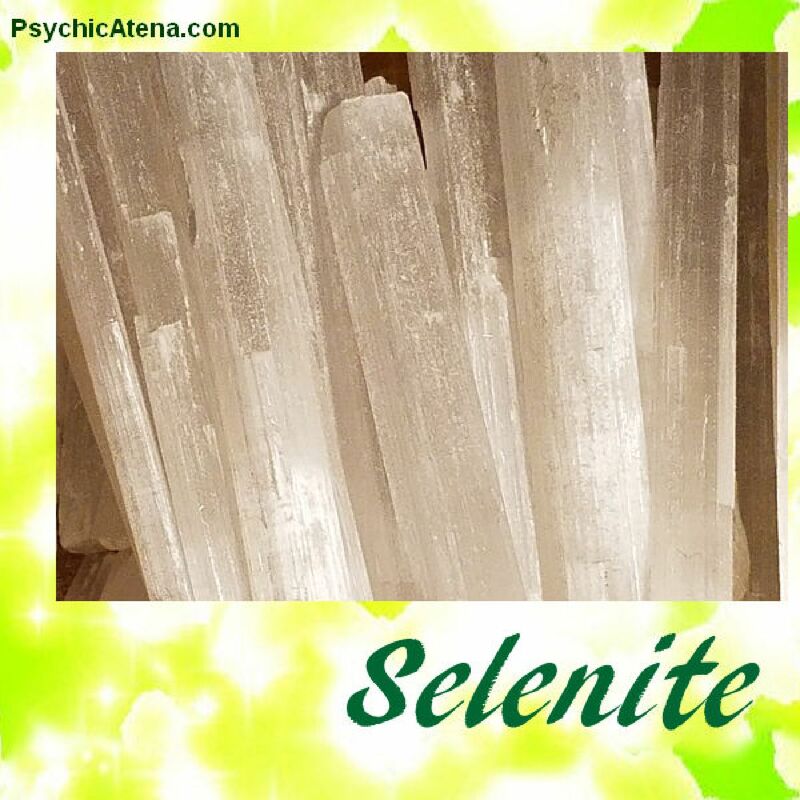 The name selenite comes from the Greek word Selene, meaning moon. It has been used for window panes, such as those in Santa Sabina in Rome. The giant crystals in the Naica Cave of Crystals are Selenite Gypsum. Selenite is commonly found all over the world and mostly mined in Europe, USA, Brazil, Argentina, Mexico, Japan, Australia, China, India, Madagascar and Morocco. Selenite is an angel stone of mental clarity. It helps work through life lessons and aids decision making. It is strongly linked to the angelic realms and is often used to call in the gentler side of their divine energy to help through tough situations, confusing life changes and aid in the clearing of chaotic or hostile energies. Selenite is associated with the moon it is named for and thus holds a strong feminine charge, encouraging compassion, nurturing and diplomacy. Selenite is a unique stone vibrating so high it never needs cleansing. A very soft and porous stone, it is easily scratched, broken, carved, polished or stained. Unlike most crystals which should be discarded if broken, selenite can be worked into new shapes and allowed to continue to work with you in new forms. With its ability to recreate its own life purpose, it is uniquely suited to help with past life work and healing. Inspires Mental clarity, psychic connection, angel work, compassion and helps remove energy blocks in the physical and etheric body.